Goodwood - The Ford Focus RS is here... And it's four-wheel-drive! The Ford Focus RS is here... And it's four-wheel-drive! The Ford Focus RS is here... And it's four‑wheel‑drive! This just might be an automotive first. A major manufacturer trumpeting about its new model’s ability to execute perfect drifts. Forget the CO2, oversteer rules! 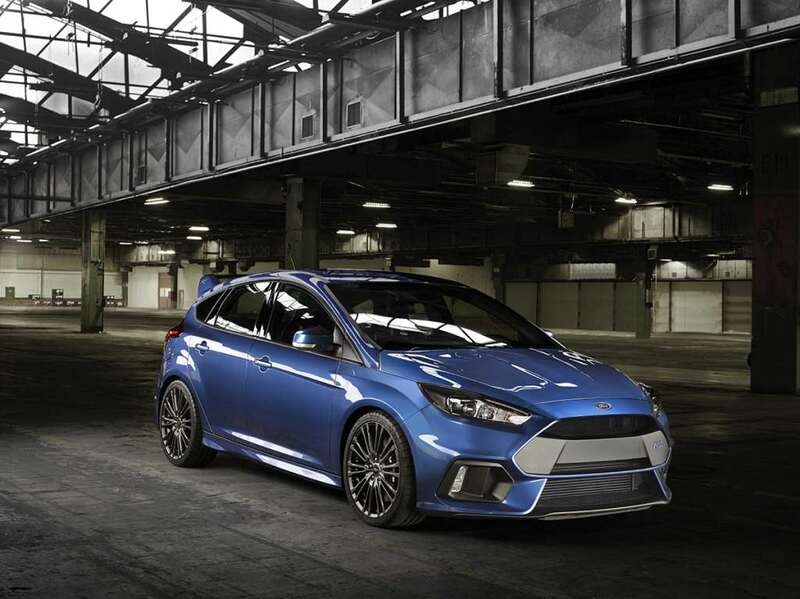 The car’s the new, long-awaited, much-anticipated, Ford Focus RS. It’s revealed here today for the first time. A front-drive hatch with 320bhp that’s designed to go sideways? Well almost, but with one big change: the RS has gone all-wheel drive. Sacrilege? Or salvation? 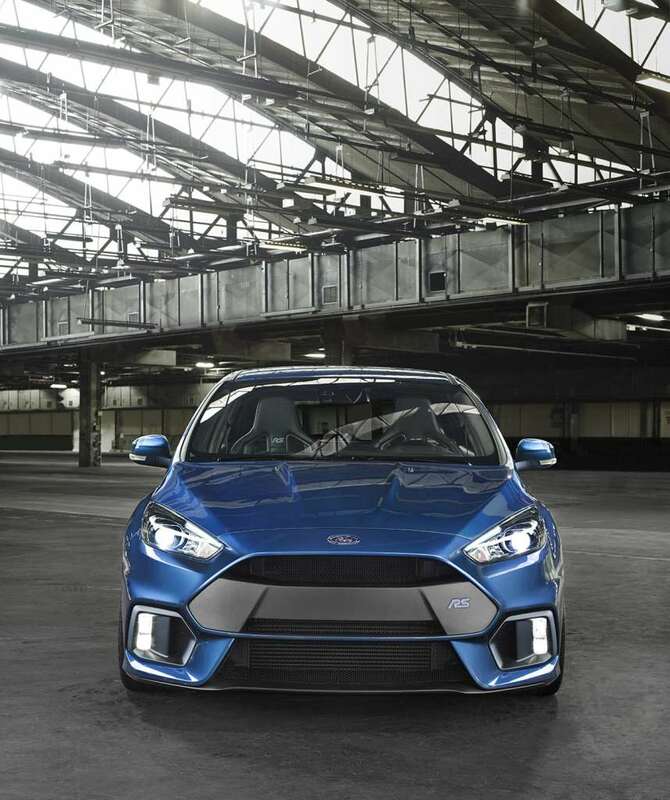 Whatever you think of the old front-drive Focus RS – you will either think it uncontrollable wild child or one of the most immersive driving experiences you can have – Ford has now decided the debate for us. By using technology to tame the terror. Tame – not a good word for a hot hatch in with a shout of being crowned hot hatch king. Ford realises that, and the inherent dangers of making a charismatic performance hero just too clinically competent. Hence the emphasis on the new car’s lairy side and its ‘unique drift ability’. Just words? Nope. There is some pretty trick engineering going on underneath the largely familiar five-door-only body. This isn’t just all-wheel drive; this is all-wheel drive with Dynamic Torque Vectoring. Now vectoring (varying torque distribution from side to side) is the in thing right now, and Ford engineers appear to have been very smart in how they deliver it. The guts is a very modern take on the differential, here called a Rear Drive Unit or RDU. This box of tricks not only decides how torque is split between front and rear but also how it is split between left and right-hand rear wheels. Electronically-controlled clutch packs either side of the RDU can, says Ford, deliver up to 100 per cent of available torque to just one rear wheel, reacting to vehicle sensors that input information 100 times a second. All this might not be so different from a good limited slip diff, or other latter-day electronic versions of same, but it still sounds to us like our kind of four-wheel drive system. And not just for the track but also in the real world. For anyone who has driven (ridden, more like) the previous RS down a bumpy and twisty back road in the wet and survived, the new RS sounds odds-on to be a revelation. And in other ways? All mostly as expected. The motor’s a 320bhp 2.3-litre four, as used under the bonnet of the new Mustang. But at 320PS (316bhp) the RS has a few extra horses to call on thanks to a new twin-scroll turbo. Improved breathing, a big bore exhaust, tougher alloy for the cylinder head, cast-iron cylinder liners and a bigger radiator are other changes to this EcoBoost engine. 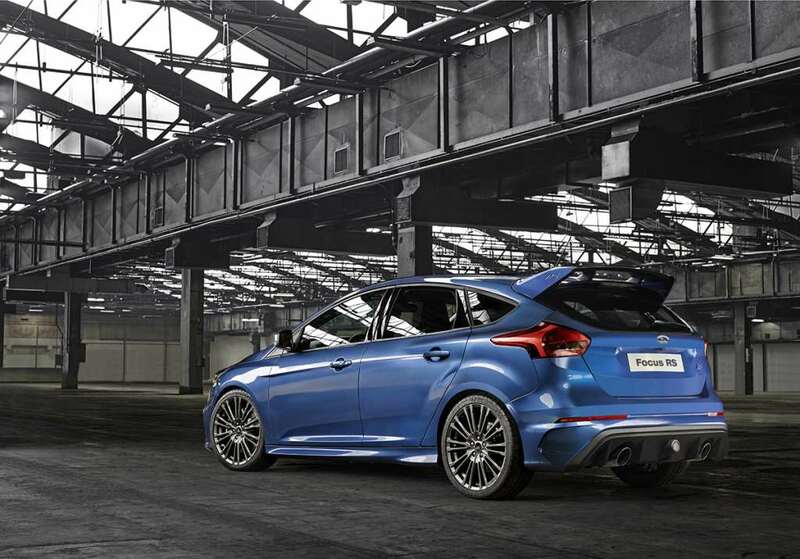 It revs to 6800rpm and comes, says Ford, with the de rigueur aural RS snap, crackle and pop when you work it hard. The gearbox is a proper – or old-fashioned, if you will – six-speeder with a lever and a clutch pedal. We hope ratio-swapping is the faster and more accurate business that Ford is promising. There’s no word on any paddleshift option. The suspension is basically uprated Focus ST with two-mode switchable dampers, with a track setting. The electric power steering is likewise from the ST but tuned for the RS. Ford blokes reckon the feel is outstanding (a result they say of the uprated front suspension) but we’ll reserve judgement on that. At least there won’t be aby torque steer. The wheels are 19s and the rubber of choice is from Michelin: either 235/35 Pilot Super Sport or the optional Cup 2 tyres for track use. Seats? Recaro of course, either sports chairs for the fuller figure or shell buckets for racing snakes. Flat-bottomed steering wheel, alloy pedals and special RS instrument graphics also feature inside. 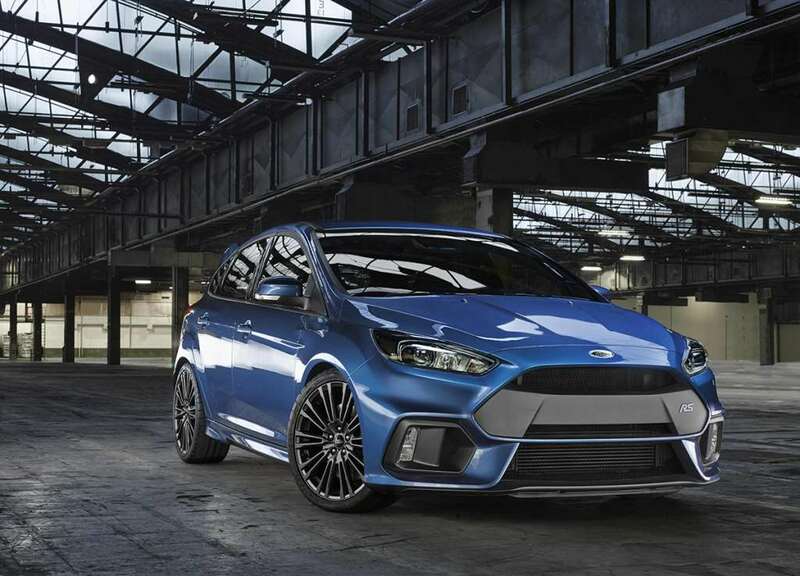 An RS wouldn’t be an RS if you couldn’t see it coming, and along with the muscular new look there’s a choice of blue, grey, black and white paint jobs. Ford is being coy about performance, with no figures so far. Its next hottest hatch, the Focus ST with 250bhp, is not the quickest thing by the 0-62mph measure, so will the RS make up for it? Like the new Mustang the Focus RS is a performance Ford for all world markets. That’s a first. Will the fact that it now has to knock the socks off boy racers in Boston, Beijing and Broken Hill – as well as the whole of Essex – mean a change in character? Short answer: don’t know. We do however know that we can’t wait to get hold of one and take it for that nice long drift. Sorry, drive. Porsche 964: Cooler and tougher than its younger adversaries?